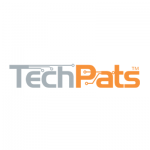 TechPats has a large number of technical experts with extensive experience in the streaming, cable, and content delivery industries, including experience in R&D, and technology and product development in the above technology areas. With the advent of numerous OTT streaming platforms, “cord cutting” is becoming a focus for traditional cable providers as their established and long-time customer base appears to be moving to other platforms. Couple that with dwindling numbers of potential new subscribers as the next generation of consumers enters that market that have grown up largely outside the traditional cable ecosystem, and it becomes necessary for the cable companies to continue to evolve and provide new services and enhanced platforms. Furthermore, streamed content has now outpaced the sale of like physical media, such as DVDs and Blu-ray discs, whose sales are declining year over year. Clients with patent portfolios who want to monetize their portfolios need extensive expertise to understand the relevant technologies and the technology landscapes and markets. They also need to show value of patents within their portfolios by showing evidence that their patented technologies are actually being used in commercial products and applications. This requires in-depth knowledge of the relevant technologies and very specific skills and capabilities in testing and reverse engineering to uncover the required evidence of commercial use in products and services. TechPats’ technical and patent experts have decades of relevant industry experience and understand the technologies and markets related to the Video and Digital Media industry. We have expertise to help you with, among other services, understanding the market and IP landscapes, addressing your needs for technical expertise and expert witnesses in IP-related related matters and development of monetization strategies, including finding EoU (Evidence of Use) of your Intellectual Property. Our solutions are customized to suit your needs.